The ‘About’ page. I typically associate ‘About’ pages to the foreword or afterword sections of novels. In my mind’s eye, I classify potential readers in two categories. The first category involves readers interested only in the content of the novel, consequently they typically skip the aforementioned sections eager to dive into the material or move to the next book. In my formative years I fully related to this first category, whereas upon opening a new novel, I would shrug off slight feelings of annoyance as I quickly flip through a forward to jump head first into the book. Also, once the last page was read, I would toss the book aside, immediately dismissing the book as already providing what it has to offer, thereby ignoring any afterword that might be there. However, thankfully there lies the other style of readers, individuals who are not only interested in the bulk of material, but also in the hand that is attached to the pen. The foreword/afterword allows a brief glimpse into the mind of the author who is behind the literary world and insight into the thoughts of the writer during the creation of the novel. I have grown into this second category of readers and still find myself amused during these short, often overlooked sections due to the author’s ability in articulating their presence of mind, while often clearly communicating their personality through their unique style of writing to their devote readers. The authors use these sections to convey a variety of emotions derived from their literary work ranging from humbleness and humor to even contempt and bitterness. Thus, I fully expect there to be two variations of blog readers. The ones, which bypass this section of ego grooming and jump directly into the content, being is a perfectly fine route to follow. However, it is the second group that motivates my effort in outlining the motivation behind this blog. Having been raised in a small rural farming community in south central Michigan, I began my borderline obsession with the great novels from an early age. My family was relatively poor, however when everyone else you know is poor too it doesn’t quite matter. Needless to say, my travel experiences, as a child did not involve worldly exploits or grand cross continental adventures. Nevertheless, my world began to grow in the 5th grade. My English teacher assigned The Giver, a book that, at that time, most school children were required to read. For an unknown reason it sparked my imagination, with key details and concepts still resonate with me today. Shortly after reading The Giver, I picked up a Wrinkle in Time, which transported my young self into a world of magic and science, thus becoming an outlet for my imagination being, as it was, vastly fascinated with anything outside of my rural roots. Quickly though, my reading material delved into the likes of Spooksville, The Boxcar Children, and R.L. Stein, whereas my Mom decided to intercede and purchased the Chronicles of Narnia and the Lord of the Rings series. Reluctantly, and much due to her urging I started The Hobbit, which resulted in me quickly becoming enamored, having now read it at least five times. By early high school, I found my way into Dante, The Odyssey, and mythology in general, with the Count of Monte Cristo, Frankenstein, The Hunchback of Notre Dame, Pride and Prejudice, and Dracula, to name a few, following shortly behind. Despite the lack of travel during my youth, books have offered me an opportunity to explore not only our world, but hundreds of other worlds. I’ve glimpsed into the minds of a myriad of characters, most of which struggling with situations I, myself, could barely have imagined. When become immersed in a novel, I truly get lost in the story. Upon asking me questions or attempting to talk to me I won’t respond because I really don’t hear you. This has been a constant source of amusement or perhaps a better term would be annoyance for my family for years. An anecdote my family is fond of recanting is based on my 16th birthday and upon receiving my drivers license I was unable to drive anywhere, even grandparents that lived 6 miles away, with out step by step directions. My sense of direction was completely lost due to continually having my nose in a book during my formative youth, whether we were getting the oil changed in my parents Dodge Minivan or driving to Grandma’s, which we went almost daily. My time in the car, whether for an hour or just a few minutes, represented a golden opportunity to lose myself, even if it was just for a few minutes, in another world full of adventure. Far too late in college, I came upon the realization my dream career likely involve reading books for a living and assessing their plots, theories, characters, etc. Alas, with the age of the Internet and the subsequently bountiful information it provides, I realized that my best move, career wise would involve continuing my education along the scientific route. At this point I was already accepted into several graduated schools for chemistry, a topic I found fascinating and equally challenging. Therefore the career in literature took a backburner to my studies at hand. Now upon graduating with my Ph.D. in analytical chemistry in December of 2014, I decided to revisit a fleeting idea. Along with several of my coworkers, who share my enthusiasm for literature, we have decided to begin a blog in which we analytically assess the various books we read and formulate the responses in text instead of the lengthy conversations or perhaps debates we had previously engaged. Therefore, this blog represents a bit of my bucket list by affording me an outlet fuel my need to over analyze everything and anything I read. hello, I did not mean to leave a blog as the reply yet I do not know what to take out. I would love to leave a tool so you could contact me yet most reply boxes will not allow leaving a URL in a reply. I have FaceBook and Twitter as Wellness Weavers as the easiest way to contact me with a Private Message that I will eventually notice.. I really want to invite you two Sarahs to visit with me in a private collaborative session using the HIPAA Compliant Cisco WebEx webinar meeting and Event Center account that I pay for. So I have removed the blog post and saved it into a Word Document that perhaps soon I can share with you both. My website reflects the duration of my “Queen Bee” solo pilot project (as far as responsibility for the vision, funding, Community Service-Learning pilot project options, maintenance of the six historic buildings that also include many diverse CSL projects and resources and event center options. I am learning how to use social media and technology to work leaner and greener as I survive to thrive living in a hostile (to new ideas and people that will not help them cover lies and gossip) territory since 2010. I continue to search for the intelligent life forms that have the ability to accept and honor diversely and to always tell the truth even when the truth might sting. Wellness Weavers seek more We in both Wellness and in a blended “adoptive” family of Weavers that has the intent of helping all people to have their very own way to live with and develop their personal Bee-ing best STAR power potential to be fit, be nurtured and supported every step of the way to learn and grow as we each live in service with and for each other. That is what, in my humble and informed opinion, happens to recharge our minds, and bodies by lifting our spirits and recharging our immune system as our Skills, Talents, Affirmative Action Attitudes, and Resources grow more brilliant. Thank you Litmospherical! ❤ Thanks for the add! I still can't believe I'm at 3000! I like the way you’ve set up your blog; it’s an easily navigable page and quite attractive. Blessings to you. Hello Paula! A fellow Michigander! Good hint regarding cereal! I grew up in Hillsdale Country, a stone’s throw from Ohio. Thank you for the kind words regarding my blog! It is definitely a labor of love! Well, you’re not that far from me, then. Wow, Sarah! I admire your ability to be so motivated and productive! You are a very organized and creative person. Thanks for the like to my posted book review. As you can see I am very new in my blog career and it was great to see who reads or is linked to my site. Love that us “poor country kids” have done well for ourselves. Keep up the great work on both fronts! Thanks! Good job with your new blog! I still enjoy seeing who is linking or connecting with me as well! Hello Sarah, Thanks for the like on my new novel’s publication that I announced on my blog. I would like to offer you a free (printed) copy of Guardians’ Betrayal once I get them myself, or get you a digital copy if you prefer, of course no strings attached, although it would be wonderful if you found it interesting enough to include it in your blog critiques. You’re not missing out on the publishing world – I tried for many years to break in, but it takes a lot of “interning” (aka free work) to be considered qualified for entry level jobs, and even then, without connections it’s very difficult. Besides – editors are so busy pushing books today, that they hardly do any editing. That lies mostly with agents and freelancers. You definitely landed in the best of both worlds – if reading is work, then you don’t get to choose what you read. I landed in the sciences myself, and was recently reminded of the long tradition of writers who became doctors, and doctors who became writers: Anton Chekov, John Keats, Arthur Conan Doyle . . . Working toward veterinary school! It’s taken a HOT SECOND to get through all of the prerequisites though! I believe, Sarah’s about section matches well with most of us book readers who left the dream of a career around books for better. And we realize that there is more to the books that a professional schooling cannot provide. I liked reading your about section. Keep up the good work. Cool! 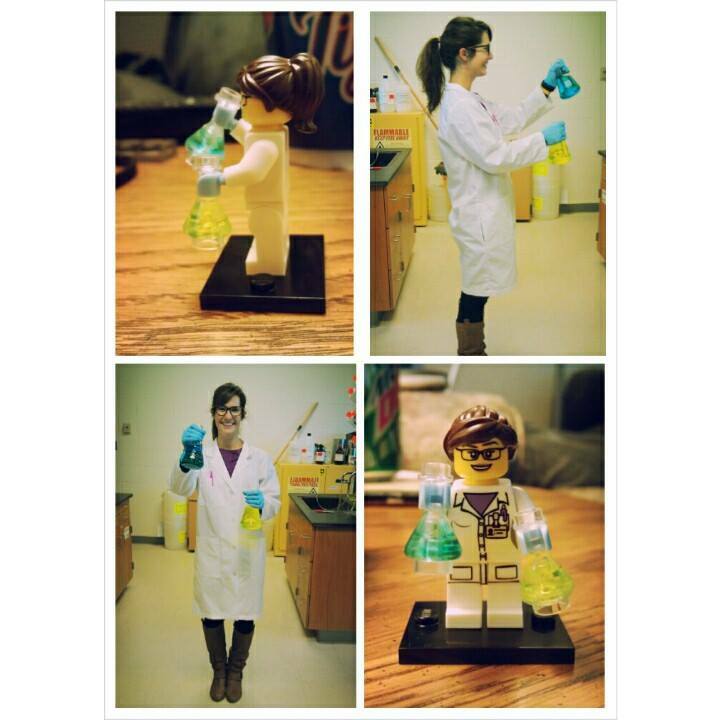 I’m an analytical chemist as well. Really! That’s awesome! What is your instrument specialty? Hello! Thanks for liking my post. I appreciate it. Sarah, thanks for stopping by my blog. We have had a similar pathway to blogging, starting with our childhood love of books, especially A Wrinkle in Time. I also got sidetracked into science classes and a medical career, but literature still attracts me. And I always read the foreword and afterward, in fact I usually read them both first. I will enjoy following your blog not that I have found you. Brilliant idea for a blog! Hi, Sarah! Happy New Year!!! Thanks for visiting my blog and liking my post. I appreciate it.